PRI is happy to announce the launch of its new training resource: Protecting children’s rights in criminal justice systems: a training manual and reference point for professionals and policymakers. Children in conflict or contact with criminal justice or welfare agencies either as children in need of protection, children at risk, on arrest, during trial, in detention or as victims and witnesses, are often in a vulnerable position, unaware of their rights or unable to enforce them. How these children are treated by the system is a critical factor in determining how they will be reintegrated into their families, schools and communities. 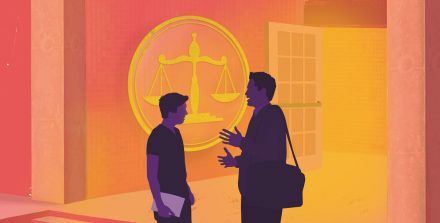 Based on international and regional standards, PRI’s new resource provides a practical approach to addressing issues that arise for children in criminal justice systems, illustrated by examples from other countries and including challenging and thought-provoking questions and case studies at the end of each topic. It is based around the approach outlined in the 10 Point Plan for Fair and Effective Criminal Justice for Children, co-authored by PRI and the Interagency Panel on Juvenile Justice (IPJJ) in 2012. The Manual is available in English, Russian and Arabic. A comprehensive reference guide for those working on justice for children in a wide range of professions or agencies within the criminal justice framework.